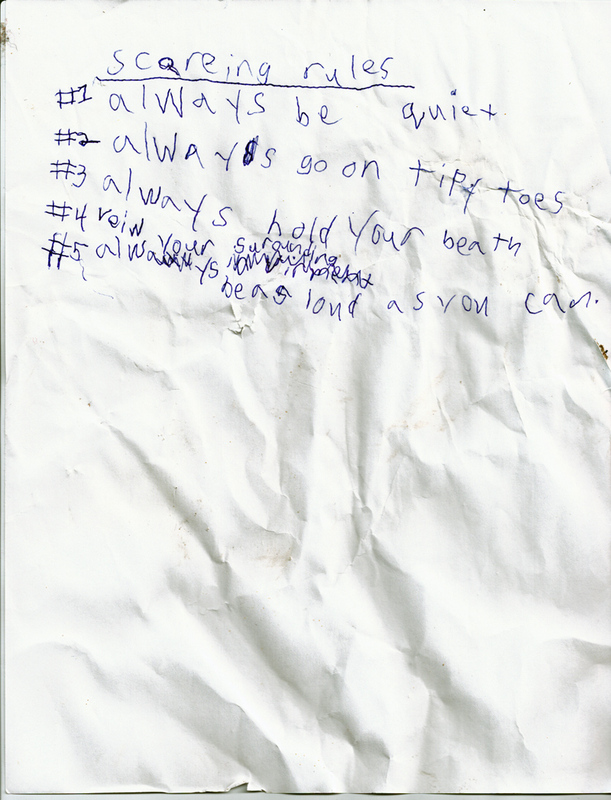 I found this paper on Jabin, Noah, and Levi's bedroom floor this morning as I was tidying up. However, the handwriting (and the origin) are all Jude, 100%. He loves to sneak up on his brothers and scare them.